Add chicken to 12-inch nonstick skillet. Cover; heat over medium heat 10 to 12 minutes, stirring occasionally, until completely heated through. Uncover; add teriyaki glaze, stirring continuously until well coated. Remove from heat. 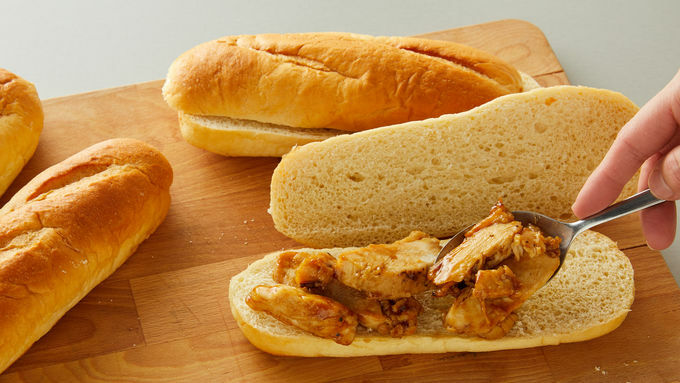 Divide chicken among bottom halves of rolls. Top with cheese, spinach, onion, dressing and tops of rolls. 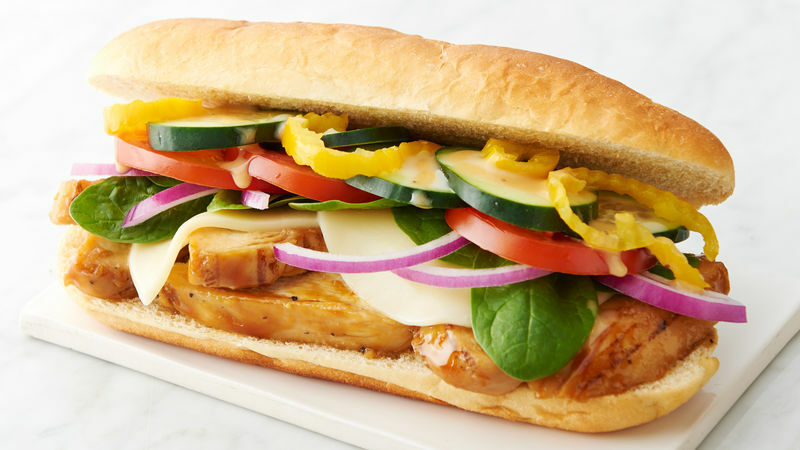 Top with other fresh toppings, like sliced tomatoes, banana peppers or sliced cucumbers. 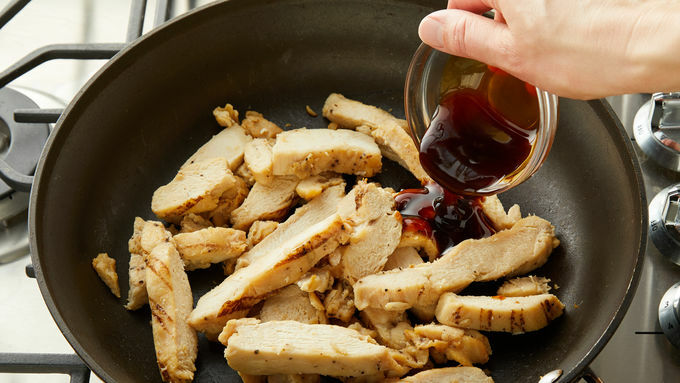 Teriyaki glaze can be found in the ethnic aisle of your grocery store and has a thicker consistency than teriyaki marinade. Sweet onion dressing can be found in the bottled dressing section of your grocery store.